Today I thought I'd call another meeting of the "Blog Cos You Want To" Club: what do you think? I've spotted quite a few Five Things posts popping up, so maybe it's time for a new suggestion? if you are anything like me at the minute, you are busy, with a big list of things to do and people to see; but you are still hoping to keep in touch with everything blog. 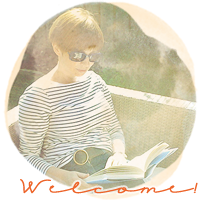 A quick run around to see what everyone is up to, maybe, a few hello's; and something fast and fresh for your own blog. Sound about right? But wait - today I'm going to suggest you forget fresh and play on the popular. Post something from the past. Usually I do like to keep it new when I'm posting. I don't schedule or plan too much, so that what you get is where I am right now. But, once, when I was feeling short on inspiration someone very wise told me not not to worry. You have plenty of posts already there if someone feels a read she said. That's a reassuring thought. You have plenty of posts already there. Give it a minute and think - haven't you got something great in your back catalogue? - Trust me: not all your readers will have seen it the first time. In two years a readership can change. Bet you have some new readers who would love to see what you were making a couple of years ago if you find the post for them! And think about it - how many times have you spotted something you like and promised yourself you'll go back because it was such a good idea? Regular readers won't mind a seasonal reminder of a great project, especially if they didn't save it or pin it the first time. - Pinterest has changed the way we look at older material. I have no doubt. It has reclaimed blog posts from years ago, kept them in view and reinforced the idea that it doesn't have to be new to be good. - It's going to give you a chance to take a look at what you were posting in the past and maybe muse on how your style has changed over the past couple of years. Do you have a different way of taking photos now? what have you learned since then? or were you doing something then that you might like to go back to? Just take a minute to think about it. One thing I noticed in my "popular post" was that I had two differently styled photos - some pin one and some, the other...maybe it's nice to include a choice? - If you are very short on time you can simply cut and paste. If you have a little more time to spare, you can tweak. I had the link to Tagxedo in my post (below), but I found I was getting emails asking me how to get to the site, so it obviously wasn't clear enough. Look now and you'll see I have added "click here".Why not use the hard work you have already done and take a couple of minutes to add in an extra tip or re -edit a picture or include some useful links? If you do, you have every chance that your project will become more pinnable. So, one final tip: take charge of the Pinterest description which will appear under your photo. Think of a compelling way to describe your project.. When you are uploading your photo into blogger, click on it, click on properties and add your description to the ALT text box. That will be what appears when someone pins your post. Honestly? I think my "popular post" became popular because of the way it was described by a pinner. Get there first. This started out as an experiment and turned into a little project. Have you heard of Tagxedo (click here) ? It's a word cloud creator, a bit like Wordle only even more fun. As soon as I tried it out once I could see lots of possibilities. which I'm pretty pleased with. Both of these are printed out at 7x5 and put into little Ikea frames. But they would also make great cards or Christmas tags. 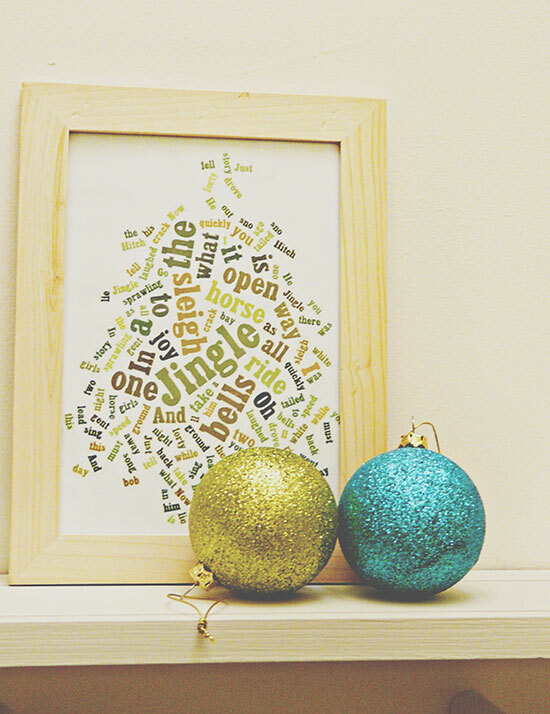 And there's more: you can upload a photo and shape a favourite bit of text round it. I'm thinking of snaffling some schoolwork and turning it Tall and (Not So) Small shaped. That would make a different kind of birthday card next year. Or a poster..
How funny that this post should pop up in my reader, while I was trawling through my own blog for all the posts marked 'cards'. I thought I could make a post showing several different cards made from a single starting point! I hadn't actually thought of just re-posting something with a bit of a make over. Great idea, as ever. I loved this post the first time, so thanks for the timely reminder. What an inspiring post!! Especially after I just found out how to find something I blogged years ago! I'll definitely be taking you up on your challenge. Also, thanks for the Tagxedo tip---an idea popped right up when I saw it! Going there now to put the idea to paper lest I forget it. That happens these days---things pop in and then disappear! I was trying hard to remember the name of that site the other day! I just checked a random December post of mine from 2 years ago and it was about sprouts. And 24 months later, I'm still not feeling the love! How true! I've never seen this site before but I did like using wordle in teaching. I enjoy going back through my archives and my readership has definitely grown since 2009 when I began blogging. I do flashbacks to older posts. but I need to link up to Pinterest and things when I feel I have nothing to post. Thanks for the ideas. You are full of great ideas...one to think about! What a fun idea to post something from the past! Your pictures are beautiful! Such a great craft idea. No wonder it was pinned lots. I remember this from the first time around but a reminder is always fun. Rad Lab is on my list of things to try out next year. As always Sian, a very thought provoking and interesting post. It's a great idea to look back, I have some posts I really enjoyed writing and putting together and I love the idea of updating them. Especially as my skills have developed over time. Must go check out that word site again, I think my granddaughters would have great fun with that. What a great idea - I did this for one of the Storytelling Sundays this year, pulled a story from the first few months of my blog. My problem is that I start trawling through old posts and become nostalgic and then spend all my time reading when I could have written something new! Sigh! I love the tagxedo site! I remember your original post and made myself a Christmas picture that comes out every year with the decorations! 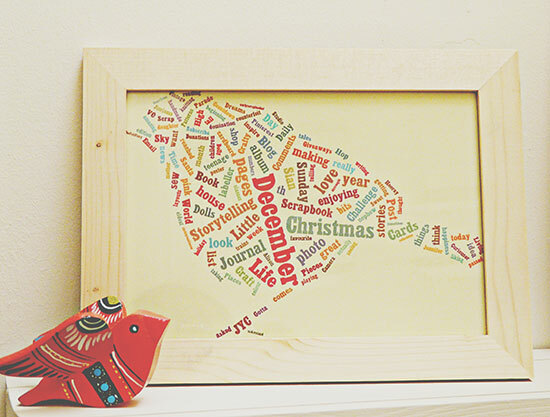 Love the wordy bird image! What a great idea! and I don't remember this project of yours - LOL! I was perusing my old December journals today while going through my Christmas boxes and thought about blogging about them. But I like this idea better. ps as a coincidence, I did recently repost a scrapbook page about our visit to the tree farm and the memorial we did for Buster there. Sian, you are amazing... I love the little robin.